WrestleMania is Back in Full Force, Baby! Listen up, viewers! The WWE is coming on full stop with a new tournament, the likes of which has never been seen before. Old feuds are about to flare up again as whole generations of champions step forward with a taste for blood. This time, they're going to bust more than heads and break more than bones. 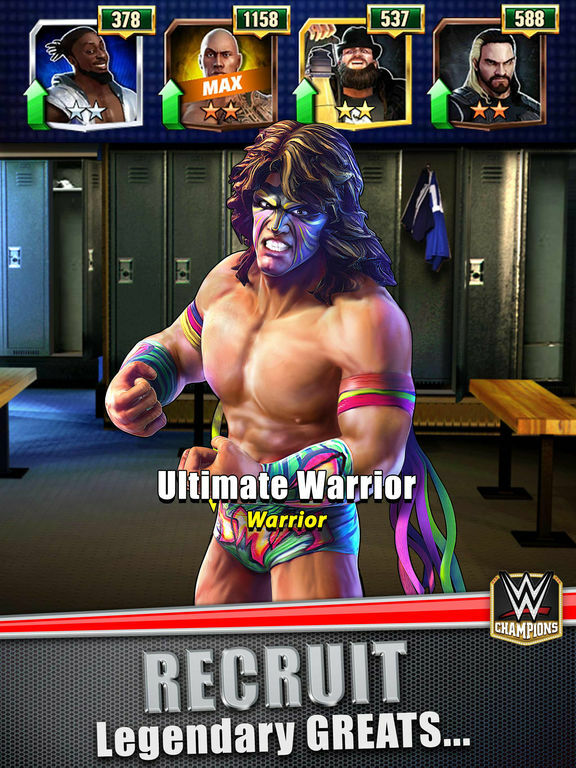 In the WWE Champions Free Puzzle RPG, the victor will be determined by how many gems he can crush as well! When we say you've never seen wrestling like this before, we mean it! The WWE Champions will test your wits just as often as they pound your face in. Take turns against your opponent matching gems on the board. With every match made, watch the champions pound each other into dust. Power up your signature moves and unleash them to show everyone what pain really is. Take control of old and new wrestlers alike, including The Rock, Undertaker, Stone Cold Steve Austin, Hulk Hogan and Sting! Get your enemy into a choke-slam, pin him to the ground, disorient him, and more! 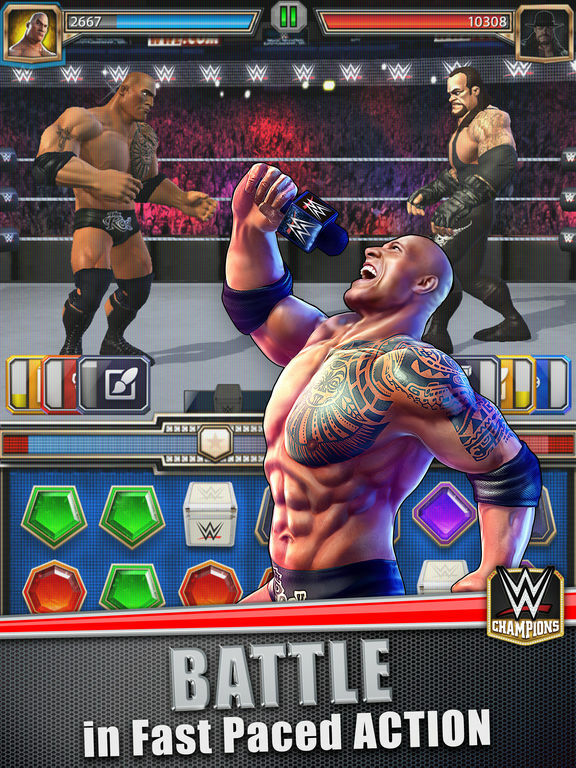 If you're hungry to see gems crushed just as often as skulls, and need a more chest-pounding way to train your puzzle-solving skills, then pulverize every other app you've got and get WWE Champions instead. It's the only game your phone rightly deserves.